The Escapist community took down The Empire in 5 different battles and won some great prizes, including a 3D Desktop during The Empire vs. The World Total War: Shogun 2 Event! Over 5 days, Escapist community members banned together to defeat 5 provinces held by The Empire in search of epic loot. The Empire's forces grew in each province but time after time, the community organized themselves and took down the forces that defended that territory. 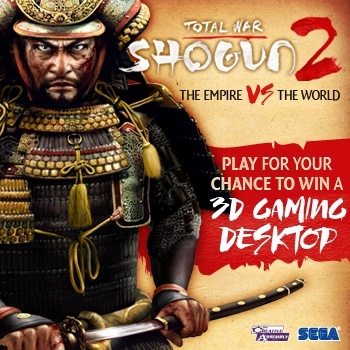 In the end, some great prizes were found, including a 3D Gaming Desktop, a Millennium Edition Gaming Desktop and copies of Total War: Shogun 2! While hundreds gathered to take down The Empire, five (5) winners were chosen as random. Congratulations to the winners! Congrats again to all of the winners and participating in this event! Keep checking back for more events like this right here on The Escapist.